Utopian Gardens was invited to demonstrate how to create a spectacular garden measuring a modest 90 sq meters. Our show garden was the centre piece with stunning cutting edge landscape design incorportating entertaining/cooking space, a relaxing seating area by the fire pit, a beautiful granite spa surrounded by a lush green planting and a traquil water feature sitting in front of a sandstone cladd wall. The walkways are recycled timber sleepers and the long boundary was steel laser cut screens hiden behind a mass planting of Rhapis palms. 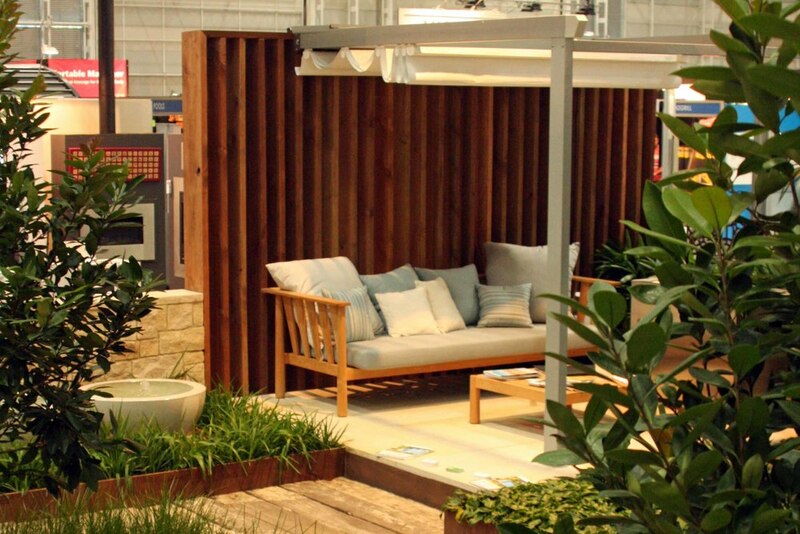 This garden won best stand for over 50sq. meters for the 2011 HIA HOME SHOW!